The season’s biggest winged menace is here, and it is likely to make you sick. Get rid of mosquitoes in your home with a good mosquito killer spray. Almost everybody likes the monsoon season. The first showers bring respite from the heat, they wash away the dust of summer and they reignite the romance in our soul. All you want to do is curl up on the sofa with a hot cup of cocoa and watch the rain pound the outside world. It’s a great season to be in, and it cleanses your spirit too. But your idyllic existence is shattered by a high pitched buzzing close to your ears. Turning, you see a mosquito hovering near you. The first showers of rain have also brought the first unwelcome visitors – hordes of mosquitoes. Attracted to the pools of water around your home, mosquitoes descend in droves, looking to bite humans for nourishment. Pretty soon, you are covered in itchy mosquito bites and feeling quite irritated! Mosquitoes should never be treated with indulgence. This tiny insect has the potential to make you really sick for days to come. Mosquitoes transmit the viruses that cause malaria and dengue to humans. If not treated on time, both have the potential to cause high fevers, severe body and joint ache, chills, etc. In recent years, dengue cases have risen in the cities, and several fatalities have also been reported. Mosquitoes look for stagnant water to lay eggs in. Remove all sites of standing water, such as water tubs and buckets, plant pots, tarpaulin on the roof, puddles outside the house, etc. Do not let water stand in the kitchen sink or washbasin as well. If you must keep a pot of water for drinking, make sure it is well covered. Dehumidify the house. Open the windows when it’s sunny outside, or use a dehumidifier. Crisp, dry air repels mosquitoes and keeps fungal growths at bay. Switch the fans on full blast and use a mosquito killer spray in the room. The spray gets the mosquitoes within a minute, and sanitises the room for use. If mosquitoes are still seen, it means there is a breeding site nearby. You may need to call the municipal authorities to carry out mosquito fogging in the area. Why use a mosquito killer spray? 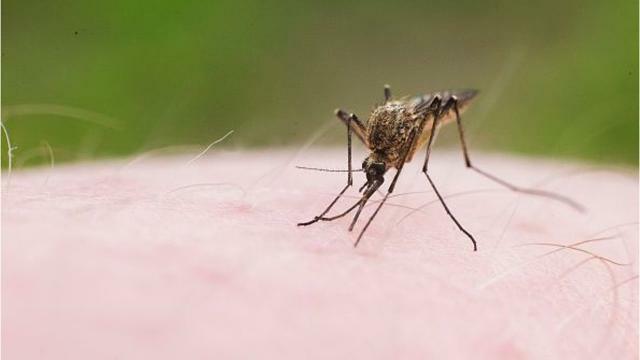 Mosquitoes are quite hardy creatures, and no amount of repellent creams and lighting herbal incense sticks in the room can get rid of them completely. Smoking them out of the house works only temporarily, and it pollutes the house as well. They need to be stopped in their tracks and killed on sight so that they don’t make you or your family members sick. Grab a can of instant mosquito killer spray and close the door and windows of the room. Spray the room liberally and keep the windows closed as you exit the room for some time. The instant mosquito killer spray kills mosquitoes in just one minute. Even lurking mosquitoes are knocked out of their hiding places. You can enter the room after a while and throw the windows open. The space is now safe to use. Be sure to spray all the areas where mosquitoes are found the most – the wet areas, children’s play area, your bedroom, etc. Sanitising the house is crucial if you are to win the fight against mosquitoes this monsoon.